The ambience this place offers surely makes one believe that it’s a place which one can visit only in dreams. The food court has got a wonderful setup with an artificial sky, soothing music, bridge and street lights. It basically offers a romantic atmosphere. However, they don’t have a wide variety of food and some dishes taste very average. 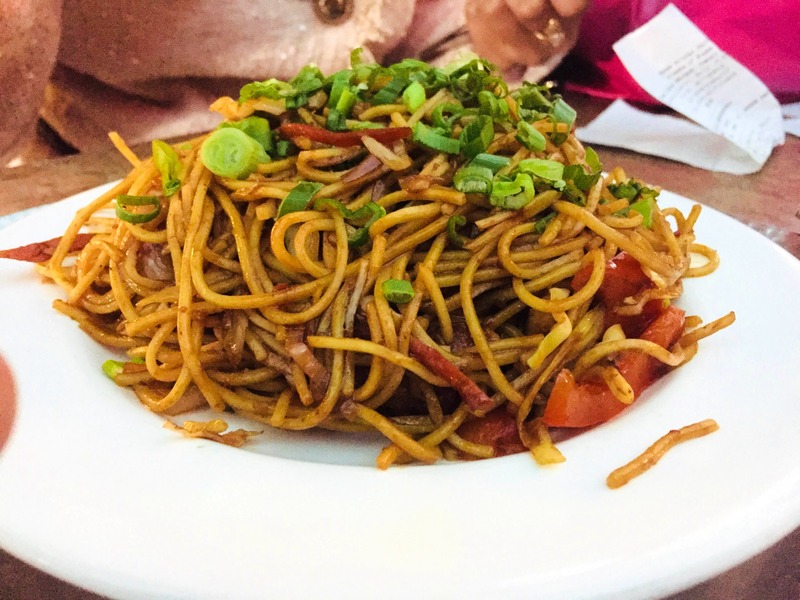 We tried the chilli garlic noodles, raj kachori. Momos, jalebi with rabri. Ice cream rolls, muffin pasta, chole bhature, kwality walls ice cream, daal pakore etc. The chilli garlic noodles were very tasty, among the best garlic noodles we have ever tried. It’s definitely worth it. The curd used in raj kachori was so pure and tasty that we had this particular dish twice just to eat the curd used. The third best dish was their jalebi with rabri. Thin freshly made jalebis were awesome. Again it’s a must try. We also enjoyed the making of love bite ice cream rolls. They were very refreshing. However, the other dishes like pasta, momos, kheer and rasmalai was just ok in taste. Their chole bhature and daal pakore tasted terrible. Didn’t like them at all. You can also watch different stage performances and shows which have separate tickets. Overall it was a different and good experience at Kingdom of dreams!